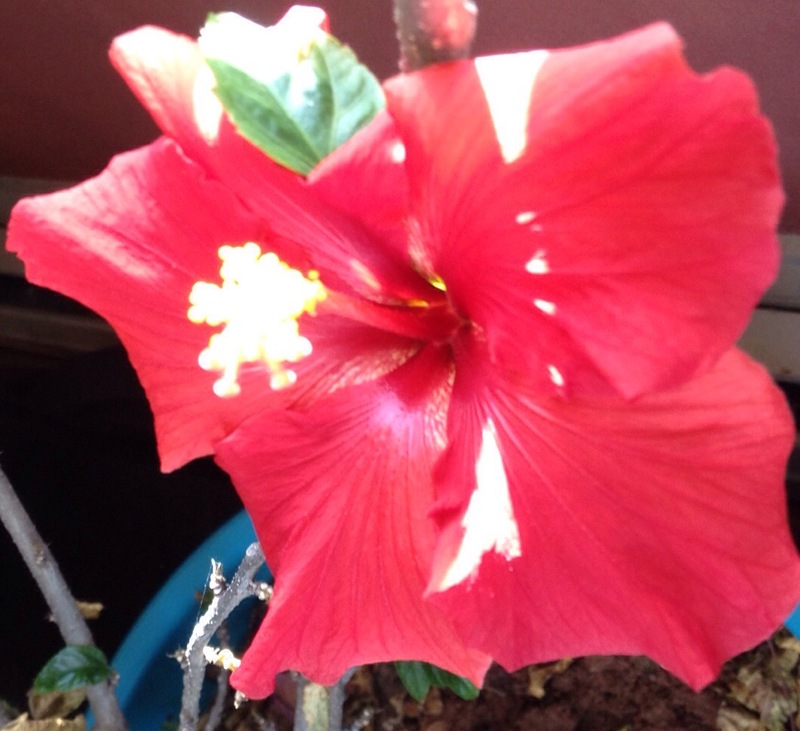 My very first hibiscus bush has bloomed for the first time in over two years. 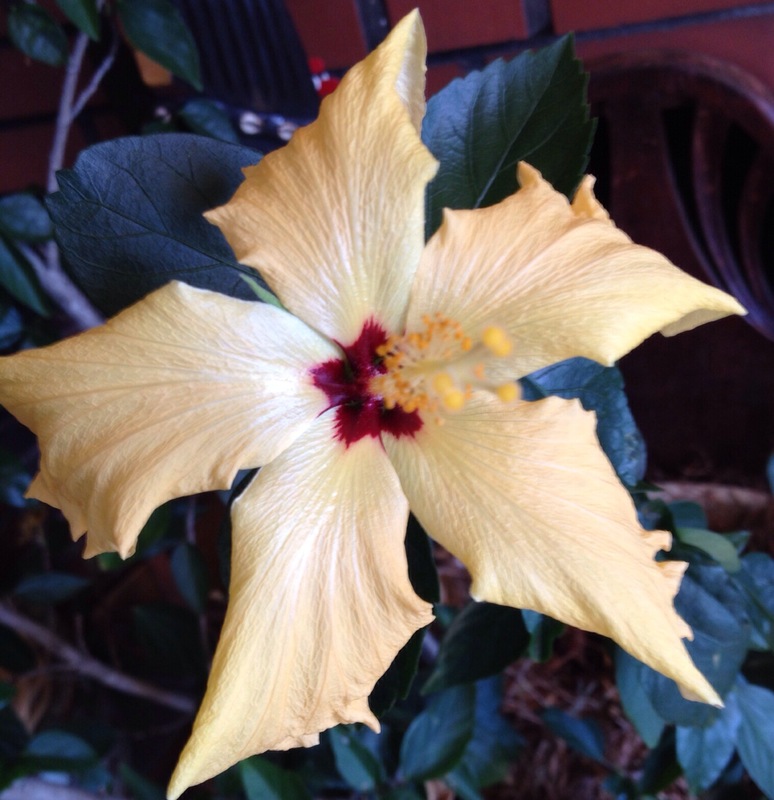 I was starting to fret about my hibiscus last summer when I waited and waited and there was not a bloom to be found; I was worried about what I had done wrong to my hibiscus; did I have to start feeding it? I had never done it before and I hadn’t fed the other two and they were producing blooms frequently, did I prune it incorrectly? 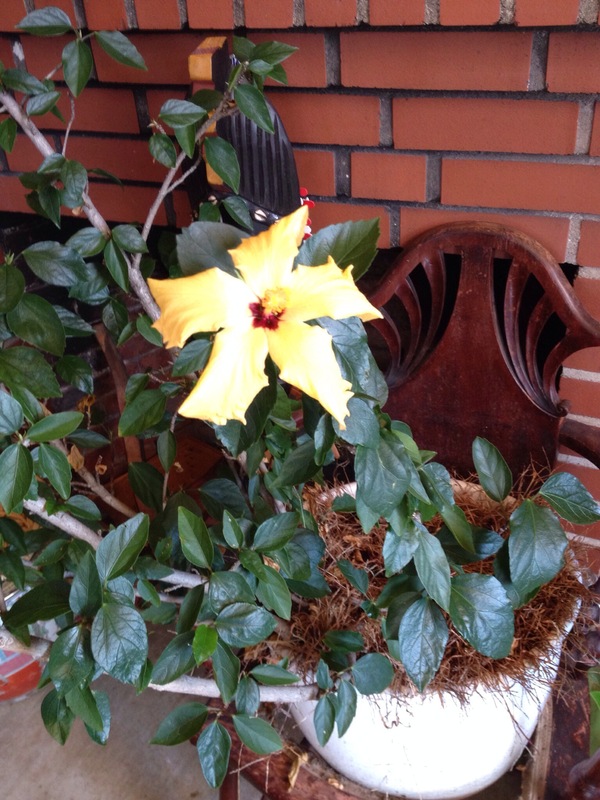 I had so many questions on my mind regarding my first hibiscus. I had specifically picked it because I fell in love with the delicate color of the bloom, a subtle apricot color. And I was beyond disappointed that I hadn’t seen the beauty of that subtle shade in so long. 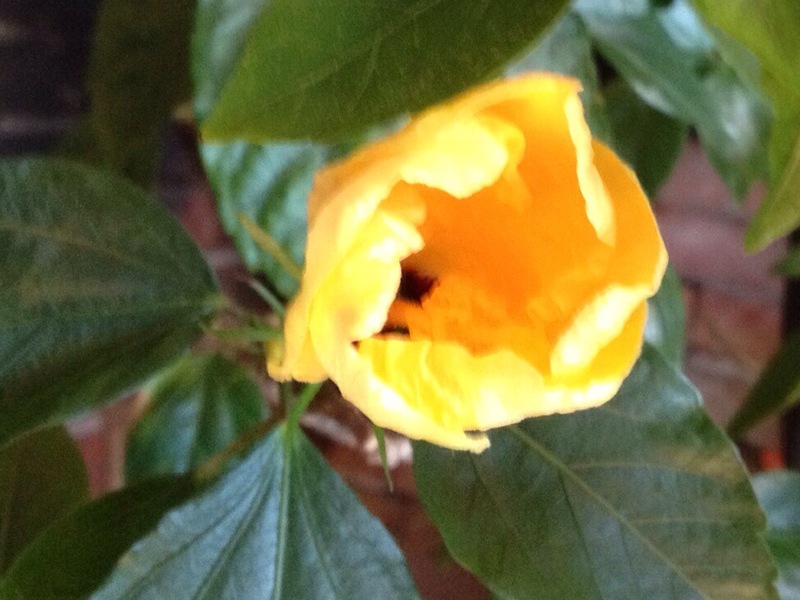 I was so happily surprised to see the blooms yesterday when we arrived after the long drive from Virginia, I had thought that I was going to have to prune my hibiscus and feed it well when it was ready to go back outside. 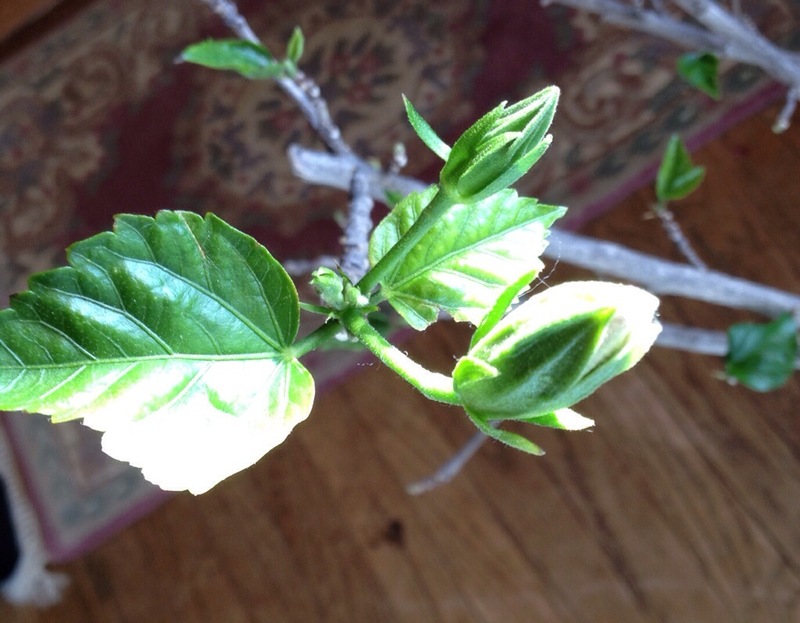 I am still going to prune the hibiscus after the blooms fade, but I think that I will forgo on the feeding, the other two hibiscus reds aren’t going to be pruned this year, they have been blooming non stop and I think that they will need keep whatever energy is stored in their branches. I can’t wait to put my hibiscus babies outside and watch them replenish their leaves and come back to the glory of their former selves. It has been wonderful to have the brilliant red blooms throughout the winter, but I have to confess seeing those red blooms at the end of spindly bare sticks is a little sad. Here is to putting my plants back outside where they belong in the sunshine and the warmth and seeing them thrive.